American Financial Benefits Center Asks: Could a Lower Student Loan Payment Mean a Happier Marriage? EMERYVILLE, Calif., August 30, 2018	(Newswire.com) - Citing vows of "‘til death do us part" doesn’t always mean two partners will stay together. Keeping a marriage happy and healthy is often tricky, but very much worthwhile. A lot of effort, honesty and forgiveness has to go into trying to keep a marriage happy and healthy. 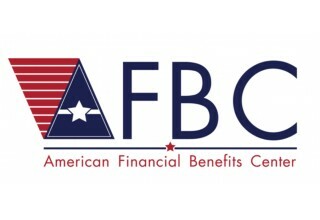 American Financial Benefits Center (AFBC), a document preparation service company that has worked with thousands of qualified student loan borrowers to apply for federal repayment plans, might help give clients a better chance at a happier marriage by providing assistance that can improve a client’s financial situation. For couples new and old, finances are often one of the top reasons for divorce. It seems to make sense that there’d be less tension when couples don’t have to worry about finances as much. Working on healthier spending habits coupled with having less financial worry can potentially ease some of the pressures that might be straining on a marriage. “We wanted to help student loan borrowers struggle less with repayment and focus more on their personal and financial well-being,” said Sara Molina, manager at AFBC. People can get stressed out about the future. With so many unknowns, it is often hard to predict what will happen - that may cause unnecessary tension on a marriage. By being enrolled in an income-driven repayment plan, it might assist with lowering someone’s monthly loan payments and help a qualified borrower get back on the track to pay off their loans or receive student loan forgiveness (after the appropriate amount of qualified payments). This new payment plan might be what a couple needs to succeed in creating a happy marriage. “AFBC works hard for its clients by helping them apply to enroll into income-driven repayment programs and continually monitoring their loan status and progress,” said Molina.